How Bad Can It Get? Neuropathic pain is one of the most uncomfortable conditions in our modern day. Estimates show that around 80% of people with diabetes will experience nerve damage or injuries during their life. Around 40% of these individuals may also experience peripheral neuropathy unless actions are taken to prevent it. 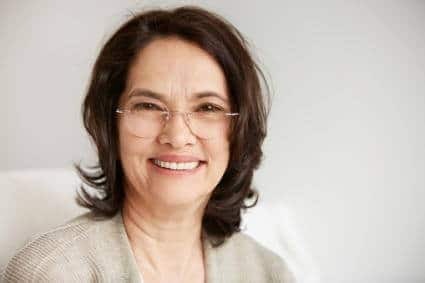 It can be an extremely challenging condition to cope with because of the lack of effective treatments as well as the denial of the medical community to address neuropathy as a real condition. Many find the dismissive attitude of medical professionals to be disheartening. Here at NervePainGuide.org, we welcome everyone with neuropathy open arms to learn more about the condition and find a treatment that works for them. We aren't interested in medical politics or dogma. We simply research available treatment methods and share what works with our readers in an educational and unbiased manner. My mother had neuropathy during her last years on earth. It was very painful for her and we did everything we could to keep the pain to a minimum. Through this process we learned a tremendous amount about the condition as well as what treatment methods, vitamins, herbs, and nutritional supplements are most effective. Word spread about our obsession with research and learning within my mothers circle of friends and people starting asking us to share the information we gathered. And that's where the idea for NervePainGuide.org was born. NervePainGuide.org is the place where all of the information and treatments we used to help my mother relieve her nerve pain. Our mission is to provide people with neuropathy the tools to manage their condition and minimize the impact it has on daily life. We believe education is the key to helping combat this ailment and our website is the best way to educate as many people as possible. Our approach is simple. We believe a wholistic approach to neuropathy is the best one. This approach includes a combination of diet changes, daily exercise, nutritional supplementation, as well as some other newer, more cutting edge conventional treatments. Diet changes can make a big impact and the cost is very minimal. Simple things like removing sugar, alcohol, and processed foods can begin to show positive results in a few months. Other nutritional supplements and vitamins like B12 and Benfotiamine have shown in numerous studies to help support overall nerve health which results in better functioning and less pain. Some people like to take multiple vitamins separately, while others prefer all in one formulations like Nerve Renew by the Neuropathy Treatment Group. We believe these types of approaches are best because one can avoid the unwanted and negative side effects all to common with prescription medications. Most importantly, we want people to know that there ARE options out there beyond the prescription pain killer your doctor prescribes to you. Read our blog articles and product recommendations to get started on your journey to relief. If you have any questions about our site please contact us. We cannot give medical advice due to certain legalities, however we are happy to provide you with information so you can make your own decisions about what may or may not work best for you. Should You Take Skullcap for Nerve Pain? 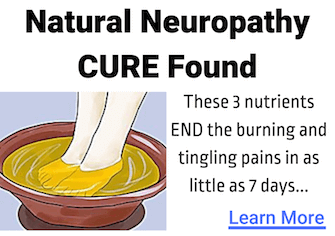 Emuaid for Neuropathy Review: Does it Really Work and Provide Relief?